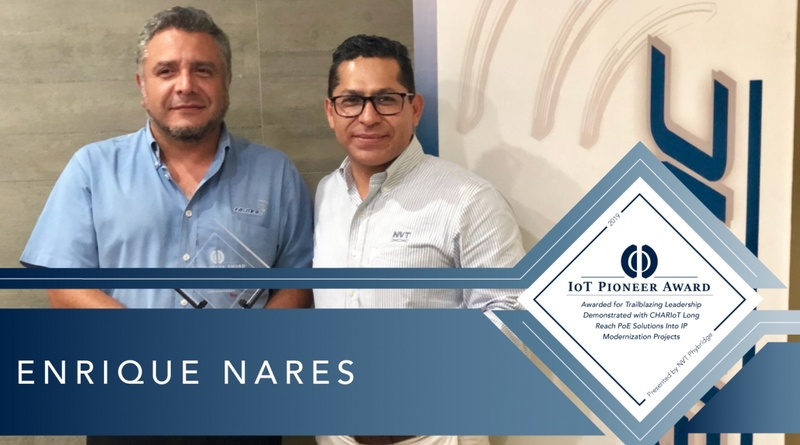 Congratulations to Enrique Nares, Presale Engineer at Grupo HEMAC, for winning the IoT Pioneer Award for helping a large correctional facility simplify infrastructure requirements and modernize to IP surveillance. MIRO Seguridad helped the customer change the conversation around traditional LAN design philosophies and leverage Modern LAN Principles to improve the outcome of their digital transformation. Enrique Nares took a proactive approach to find new and better ways to support their customer’s IP modernization objectives in a financially and socially responsible manner. Our partners are using Frost & Sullivan’s Modern LAN Principles to increase and accelerate revenue recognition, collapse sales/deployment cycles, and eliminate infrastructure barriers for their customers as they modernize to IP.